You know how you can picture something amazing in your head, but can't quite get it to come out right? Well, this is a prime example. 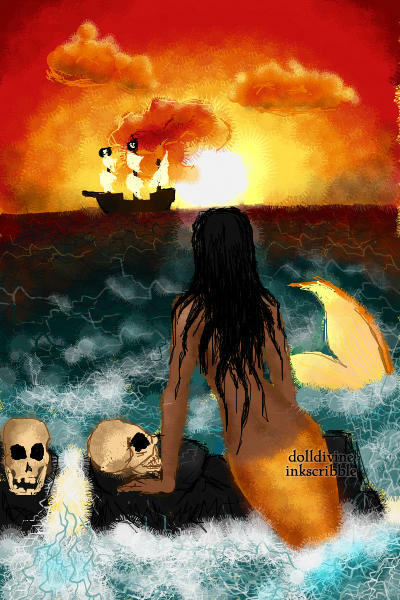 Inspired by the beautiful yet deadly mermaids of Pirates if the Caribbean. AH~mazing!!!!! She just got my vote AND an original crown! GR8 job!!!!! This is on highest voted! Congrats! Oh my jeebus. There's a lot of fuzzy balls in there...brilliant colors. How do you even..... Just how?